Noida: A big case of electricity theft has surfaced in Botanical Garden Metro Station premises located at Sector 38A. Here a total of 515 kVA electricity theft was stolen by 9 shops, a toilet and an electric billboard. Surprisingly, the extra bill of electricity was being charged from these shops. On this, the department has lodged an FIR in Sector 39 Thane against the company’s supervisor, the General Manager of the Delhi Metro Rail Corporation (DMRC), Assistant General Manager, Assistant General Manager of the Shop Operating Company. There is a charge that the DMRC can not do any type of business activity from the connection against the purpose is given. On the Botanical Garden metro station located at Sector 38A, the team of electricity department looked after a surprise visit. Meanwhile, JE and linemen including Executive Engineer AK Ojha, SDO Ramamurta Verma SDO Kazmi, were present. The Department got information that the DMRC is being given power to operate the Metro operations through M/s R-Cube Project Limited. Electricity bill is also being taken from R-Cube at ATM running in one of these shops. All these works are illegal. “The FIR has been registered on all four. Simultaneously, the final notice is also being sent to DMRC MD Mangu Singh. If the arrangement is not improved, the connection of the metro will be disconnected. It will also be said to deposit the same amount of Electricity Duty. Apart from this, the Caveat has been installed in the Allahabad High Court, so if the DMRC seems to be petition on the matter of Electricity Duty, the Department will be notified before the petition is filed before the department”, said Ashutosh Niranjan, Managing Director of Paschimanchal Vidyut Vitran Nigam Ltd. (PVVNL). On the spot, R. Cube’s Supervisor Mahipal was present. He said that the work of electricity maintenance is done here by the Assistant Section Engineer of DMRC. At the same time, all the work related to the electricity of the premises is done by DMRC General Manager Vivek Agarwal. According to the department, power stealing is being done by the collusion of all these. 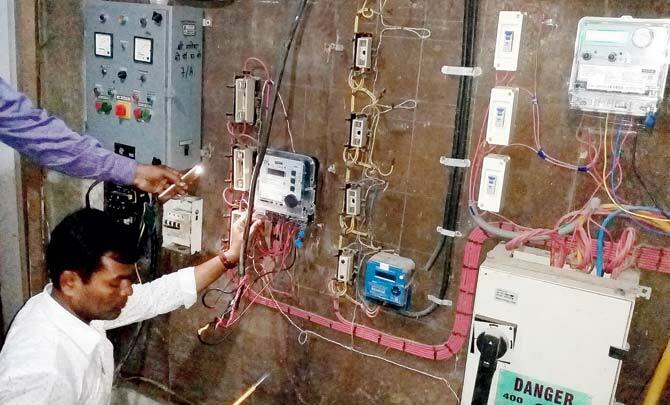 On having consumed electricity at all these 11 shops, the department has registered a case against Surjit Kumar, Marketing Assistant General Manager Das, the company’s supervisor Mahipal and DMRC general manager Vivek Agrawal and assistant section engineer Sandeep have complained about lodging of FIR under Section-135 (E) of the Electricity Act in the Sector-39 Station.